Tucson has a somewhat conflicted food culture. The overall vibe of the city is casual and some of its best food can be found in open air taco stands. 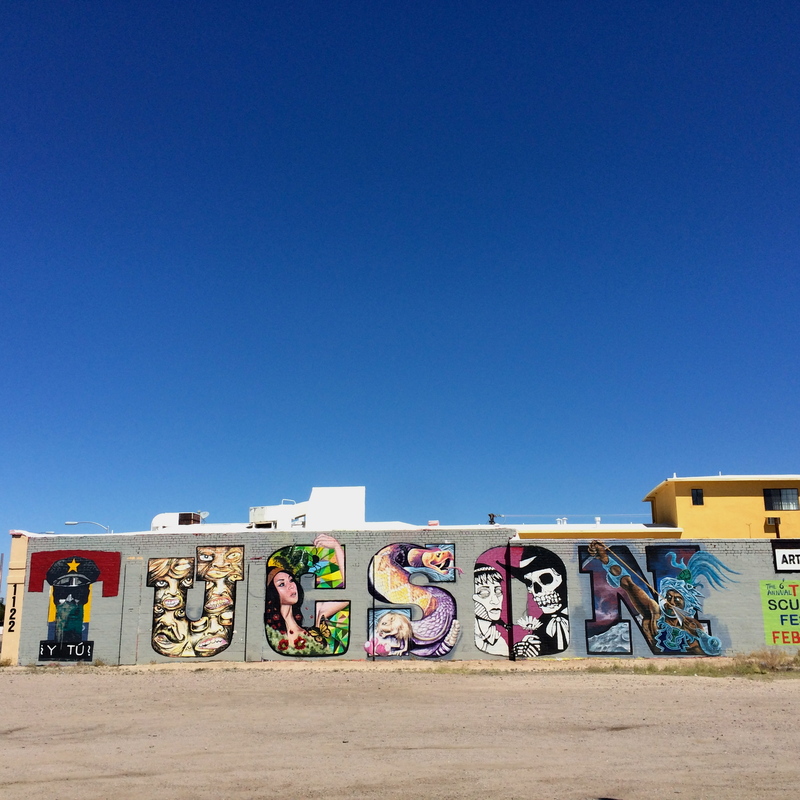 However, there’s a growing group of Tucsonians who want to dress up and go out for dinner and cocktails. Every time I come back to town I find new upscale, urban restaurants with long wait times and unusual food choices. 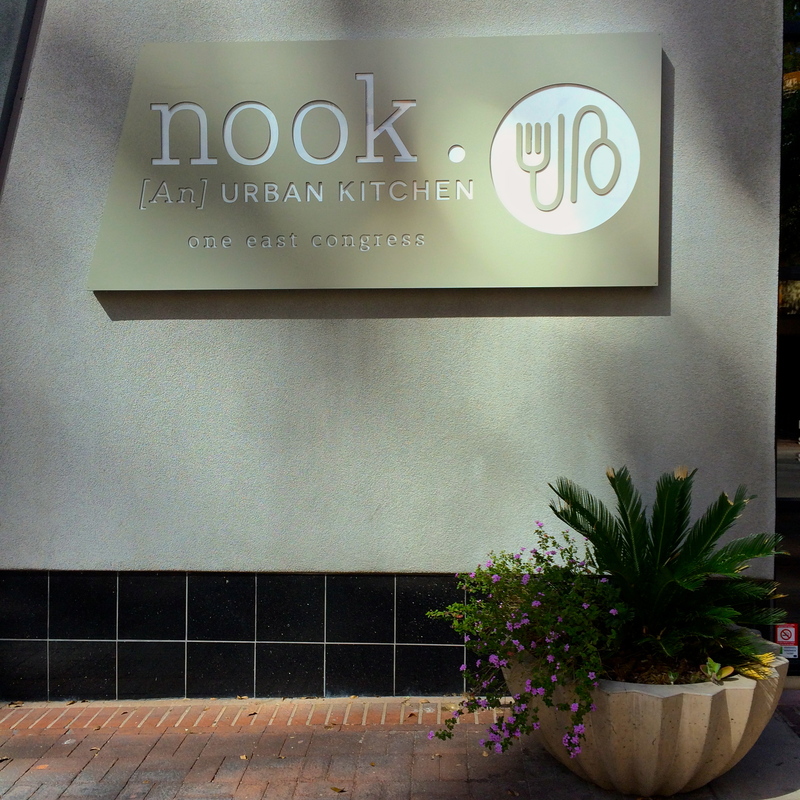 Far and away my favorite of the four, Nook is a downtown Tucson’s newest breakfast/lunch place. With wooden tables and flooring, brick walls, padded chairs and a light open airy feel, Nook follows the latest restaurant design trend of stylish comfort. Like you’re at home but it’s way better looking. 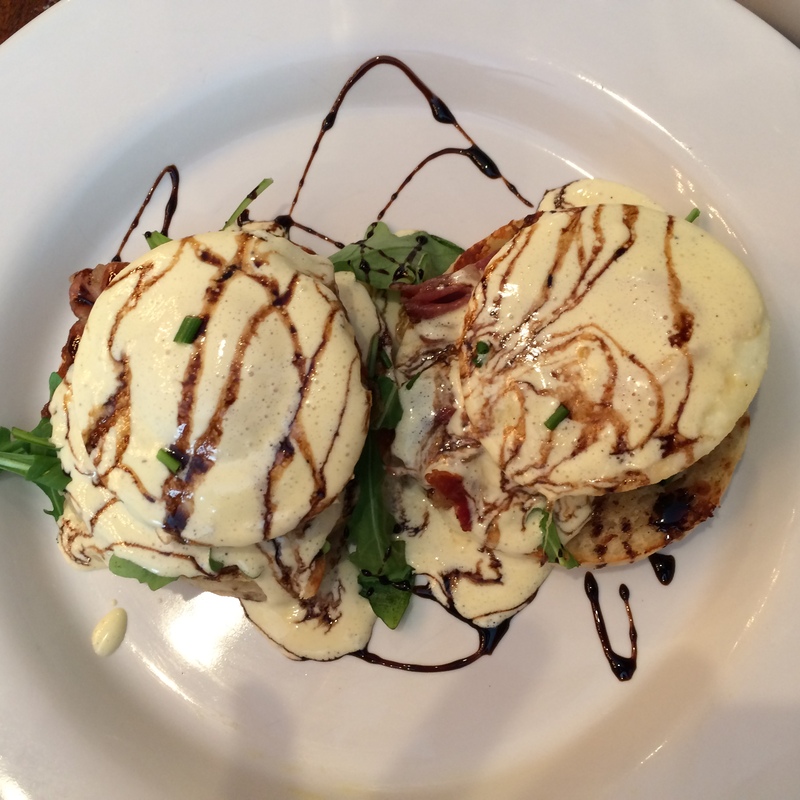 I had the Godfather Benedict, one of Nook’s signature dishes, with arugula, prosciutto and poached eggs topped with hollandaise sauce and a balsamic reduction. Everything about this dish was perfectly on point. The proscuitto was thinly shaved and slightly fatty, the arugula had a nice peppery bite and this hollandaise might have been the best I’ve ever had. I fear thick clunky hollandaise sauces and so I rarely order benedict but this sauce was thin and creamy with a lemony kick to it. I wanted to lick the plate. Nook is Matt and Nikki Thompson’s first restaurant and I think they’ve knocked it out of the park. I hope Nook gets lots of love and attention so it’s going strong the next time I’m in town. The unfortunately named Oink Cafe is another new breakfast place in town. That picture above pretty much says it all: bacon. Lots and lots of bacon. Pig is the trendy animal of choice in the 2000s and while it’s hard to argue with crispy fatty luscious bacon strips, I don’t know that Oink is doing anything new with the pig. 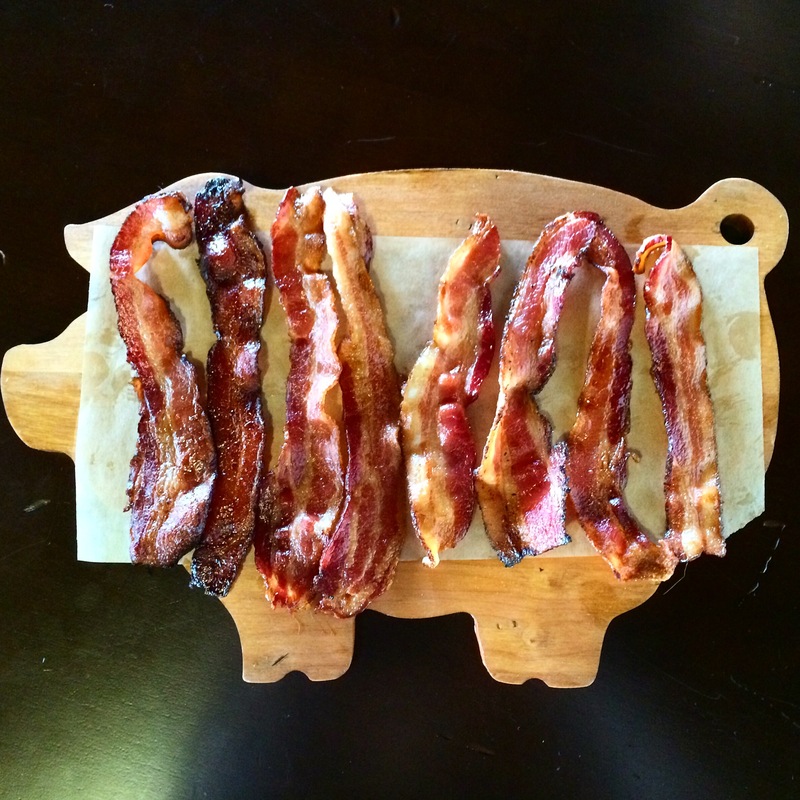 The flight of bacon, above, had 8 different preparations, largely indistinguishable from each other. I think your average breakfast diner would rate them as “good, slightly spicy, good, maybe sweet?, good, good, smoky?, good.” The rest of the food we had was also good but nothing I’d return to eat. I’d rate this place as solidly average with lots of bacon. Given that I just spent a week in Maine, i was amused to hear that one of Tucson’s newest restaurants serves New England style seafood. Jackson Tavern is Brian Metzger’s newest restaurant (also Poppy Kitchen and Gio Taco). 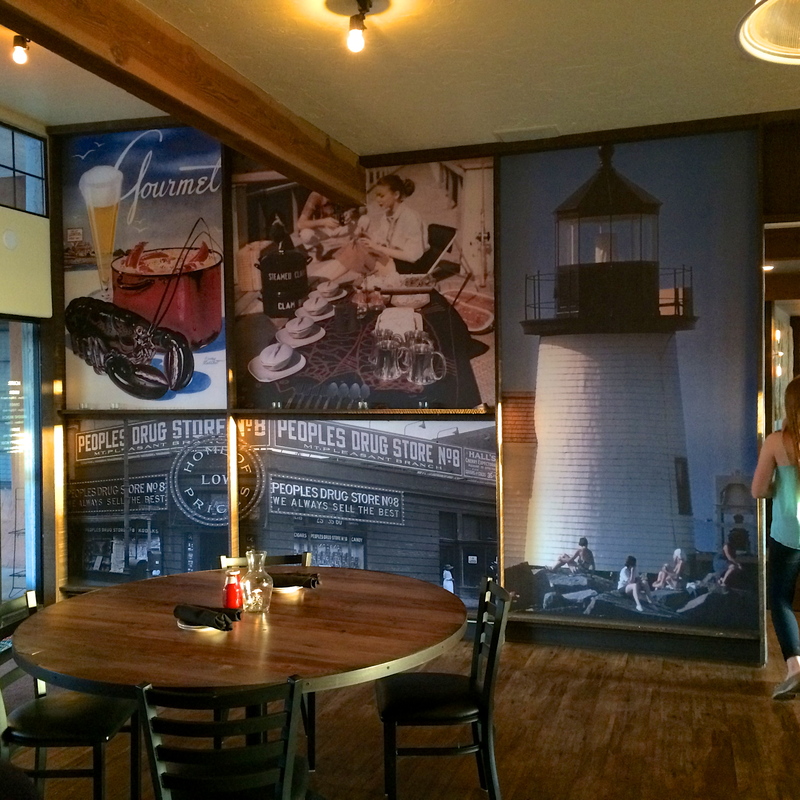 The polished wood tables and open design of the restaurant bring a casual neighborhood feel to the dining room and the U-shaped bar in the next room definitely looks like the northeast. Of course there are pictures of lighthouses, since I can’t get away from them even in the desert. Design aside, I think the seafood concept is such an unusual choice for the southwest. Who comes to the desert looking for clam strips? But I think this restaurant is a perfect example of the growing food culture in Tucson and underlines the desire to move beyond all the usual food options in town. 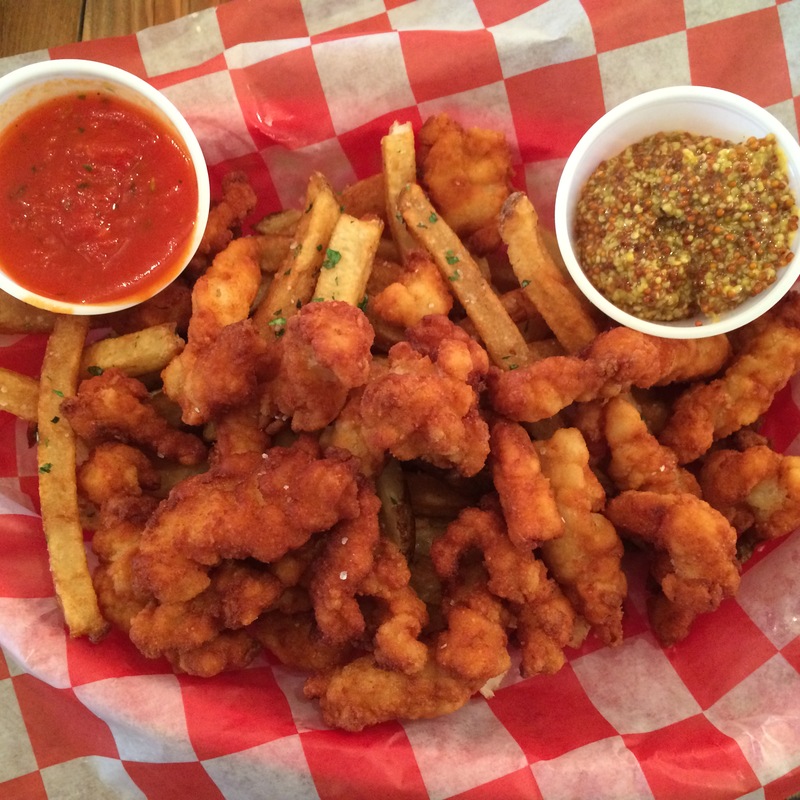 I had the clam strips, which were surprisingly tender albeit with quite a lot of breading. We also had deviled eggs that were ok and my friend Chris had the mac and cheese, which he said was really delicious. I think Jackson Tavern is a unique offering for Tucson. It might be a hard sell in a place so far from water but for people who want good seafood in the desert, they won’t be disappointed here. 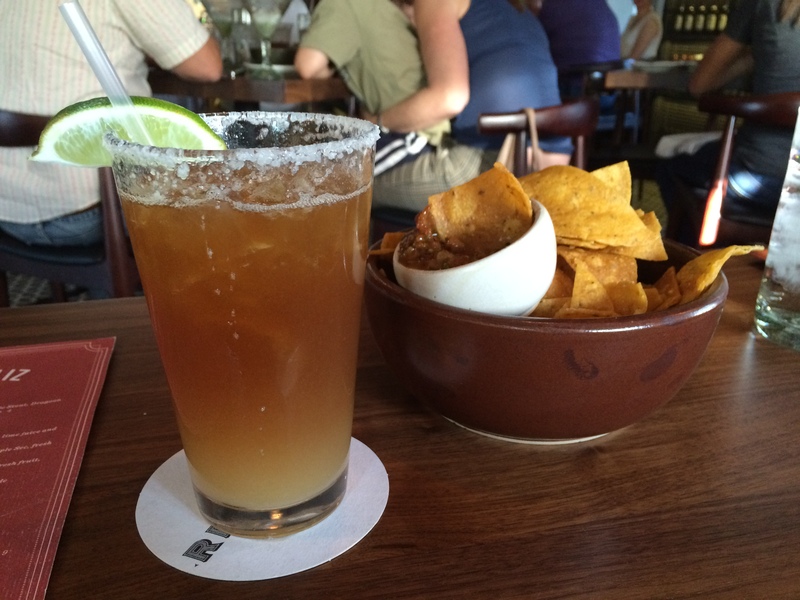 Reforma Cocina y Cantina is going to do really well in Tucson because the St Phillips Plaza area is known for good dining, these owners also run the very popular Union Public House next door and the restaurant itself is lovely. Designed like a Spanish style adobe hacienda with white lights outside and a dazzling full wall display of agave spirits inside, this is exactly the kind of location the Tucson dinner crowd wants. I wish the food were better. The best things we had were side dishes: the arroz oaxaqueno with poblano chilies and queso fresco was flavorful, spicy and delicious and the esquites, charred corn with chipotle lime crema, tasted exactly like the grilled street corn slathered with crema and cotija sold in Mexico. However, my shrimp tacos had overcooked shrimp and a lack of flavor – though the hand made tortillas were good – and the chili en nogada with poblano chili and vegetarian chorizo had way too much dried fruit and the strangest mealy consistency. Even the tortilla chips in the picture above were slightly tough and the salsa lacked salt and heat. Given Tucson’s well deserved reputation for excellent authentic Mexican food, Reforma’s food was disappointing. However, like I said, the food isn’t the point here. We had a hard time getting a reservation on a Saturday night so it’s certainly popular and the restaurant has a nice vibe and it’s beautiful. I’m happy to see another excellent breakfast restaurant in Tucson just as I’m happy to see Tucson’s food culture grow. I hope that the burgeoning interest in dining out will actually develop Tucson’s food scene into a place where the beautiful restaurant spaces have food equal to the surroundings. This entry was posted in Arizona, Breakfast, Eating, Good eating, Mexican Food, Tucson and tagged arizona, bacon bacon and more bacon, brian metzger, grant krueger, i LOVE breakfast, jackson tavern, Lighthouses, matt and nikki thompson, new england style seafood, Nook, oink cafe, reforma cocina y cantina, Tucson, Tucson's new restaurants 2014, upscale mexican food. Bookmark the permalink.